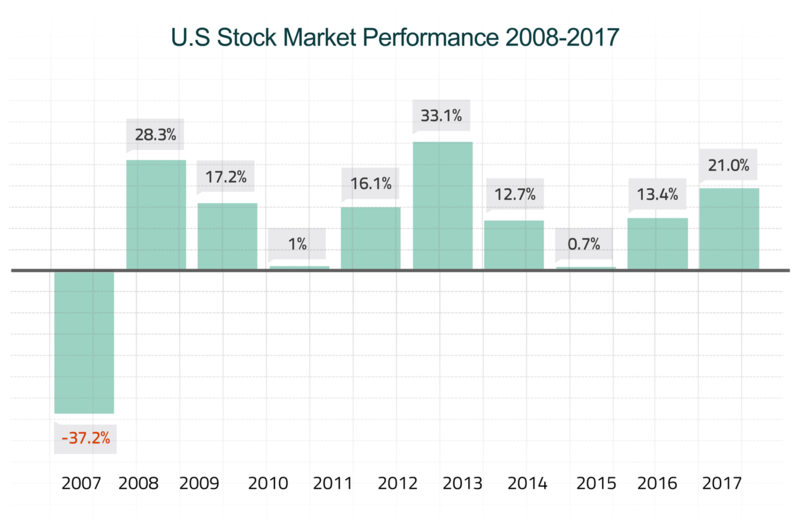 The chart we just looked at is nice and clean, showing a smooth, straight upward path for investment returns. 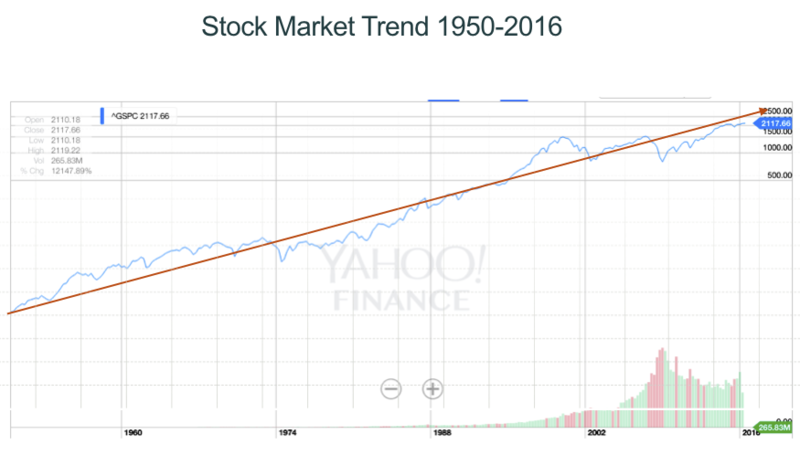 While the stock market's long-term trend is upward, its actual path is neither smooth nor straight. Instead, it's marked by many twists and turns, with some scary downturns thrown in for good measure. Counting on a 7% average annual return is, in our view, realistic. (SMI's primary strategies have earned considerably better returns in the past.) However, that rate of return isn't guaranteed, nor will you get 7% every year. Some years you'll do better, and some years you'll do worse. In fact, it's likely that some years you'll lose money. So, before you start your investing journey, it helps to know that the terrain will get rough from time to time.